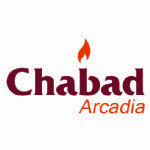 Chabad of Arcadia is committed to provide wonderful and enriching educational and social programs to the local communities of Arcadia and Temple City. Our continued sustainability and growth is made possible by the support we receive from generous friends like you. Chabad of Arcadia does not require annual membership, dues, or building fund fees; our events and programs are open to every member of the community. However, Chabad of Arcadia is dependent on the generous support of members of the community to cover our budget. Like all other Chabad Centers, Chabad of Arcadia is financially independent and receives no funding from Chabad umbrella organizations. All donations to Chabad of Arcadia remain in our community, covering our budget and funding our events and programs. To help support Chabad of Arcadia we ask that you partner with us by joining and becoming a Supporting Member of Chabad of Arcadia. Your contribution will allow us to continue our work of reaching out to every Jew. To donate online please click here .